Xiaomi is currently on a roll and has been releasing smartphones one after the another. It just recently unveiled the Redmi 6 Pro and is now gunning for another launch on 19th July. 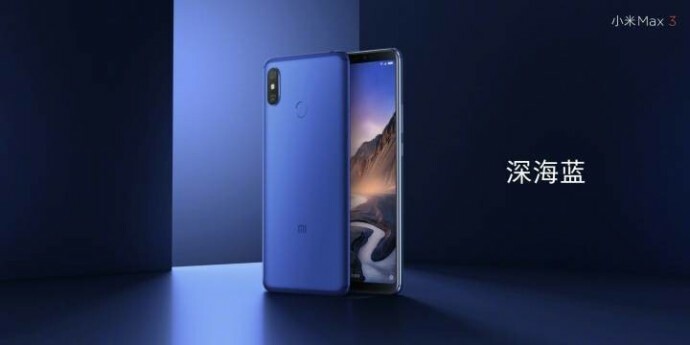 The company’s large-screen phone, Mi Max 3, is launching in a couple days and teasers for the same have been making rounds of the Internet for the past few weeks. The company’s officials tweeted an image of the device’s box and leaked details have popped up here and there But it is today that we’ve got our hands on the official renders of the Mi Max 3. Alongside the renders shared on his Weibo page, Lin also revealed that the Mi Max 3 will come with a humongous 6.9-inch display and an enormous 5,500mAh battery. He then continues to add that the device may have a large screen but you would never feel as if you’re holding that huge a device. Also, the battery life is expected to be ‘super’ (loosely translated from Chinese) so that could be a plus. 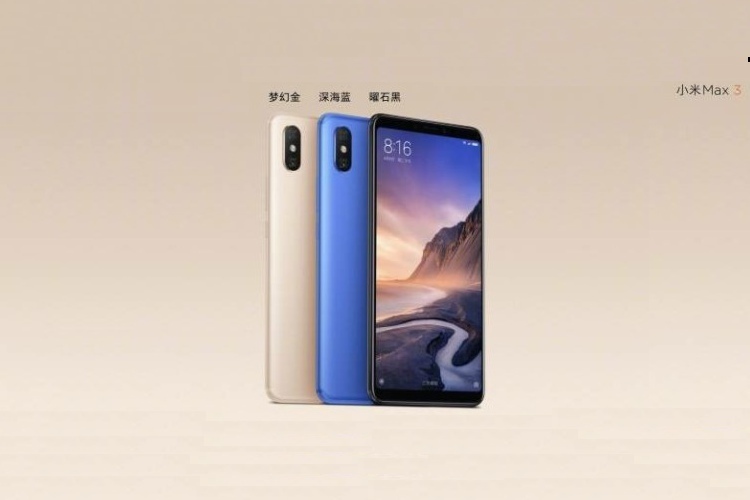 As you can see in the official render above, the Mi Max 3 looks quite like a plus-sized Redmi 6 and doesn’t sport any notch on the front. It does have a sizeable top bezel and bottom chin though, which may turn off some users but the slim build of the device could provide some grip to this beast of a smartphone. The device is expected to be powered by the Snapdragon 636 chipset, paired with up to 6GB of RAM and up to 128GB of onboard storage. It will host a 12MP+5MP camera setup on the rear and an 8MP selfie camera, with AI beauty features and filters. It will run Android 8.1 Oreo-based MIUI 10 out-of-the-box. The rear panel of the device appears to be a metal unibody construction, with the similar vertical dual-rear camera setup that we’ve seen on recent Xiaomi phones. There’s also a fingerprint sensor at the center of the rear panel, USB Type-C port at the bottom and an audio jack up top. As seen from the renders, the Mi Max 3 is expected to come in 3 color variants i.e black, blue, and gold. The blue and black with have a black front, whereas the gold variant will sport a white front. 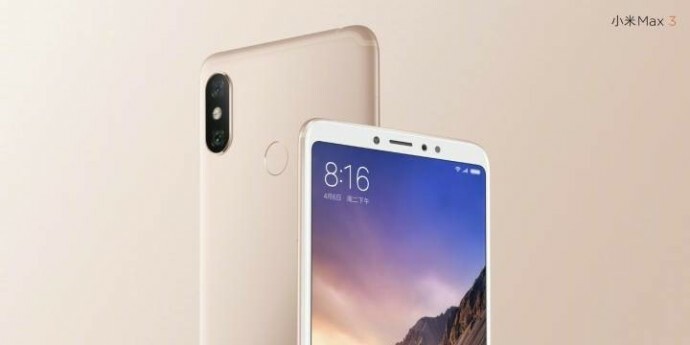 Though Xiaomi is yet to reveal the price and availability details of the Mi Max 3, the rumor mill suggests that it will launch in China at around 1,699 yuan (around Rs 17,500). There’s no mention of an India launch yet, but we expect the device to come to India as both of its predecessors did.